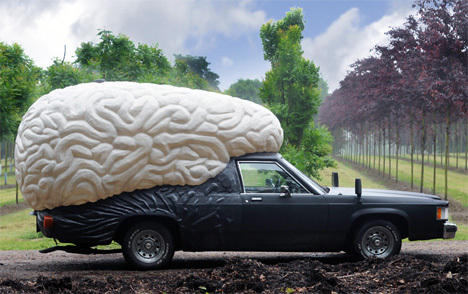 All day as it is traveling, the Brain Car records images of where it goes and the sights it encounters. 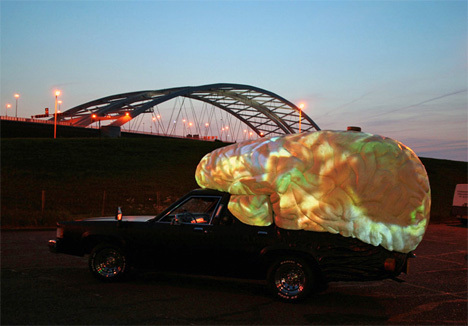 Then after dark, the Brain Car remixes those “memories” and an interior projector replays on the inside surface of the brain. All of the images are visible from the outside, letting passers-by experience the “dreams” of this traveling marvel. See more in Art Vehicles or under Transportation. August, 2011.